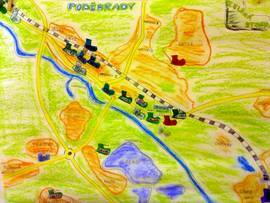 In late springtime the pupils marked their ways to school in maps and identified dangerous spots. These hotspots were assembled in one map. 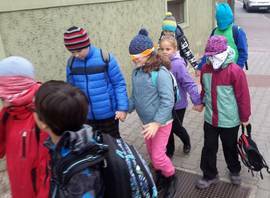 Most schools realized their ZOOM Activity Week not before September. 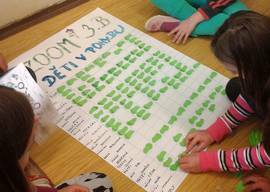 10,881 Green Footprints were collected by the 9 Schools together! 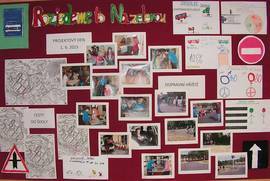 Some further information on their activites as well as nice photographs can be found in the short report (pdf, 2.5 MB) written by Nadace Partnerství, running the Czech ZOOM campaign in 2015. 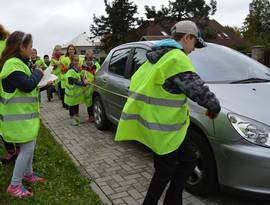 In the Základní škola Chomutov 300 pupils together collected 1,414 Zelené stopy (Green Footprints). 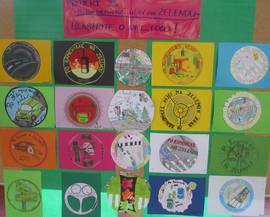 In June they started their extensive project on sustainable mobilty. 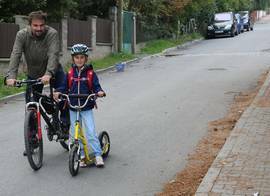 Therefore they examined how the pupils get to school and what means of transport they use for their way. 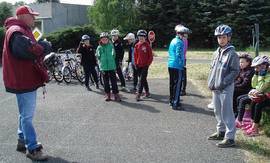 Others also made a safety test as preparation for a cycling trip with their class. 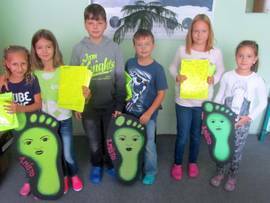 328 pupils from the Základní škola Děčín II collected 2,106 Green Footprints. 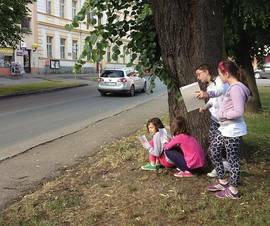 During their ZOOM activity weeks some classes realized a traffic survey in the streets of their municipality as you can see on the second photograph. 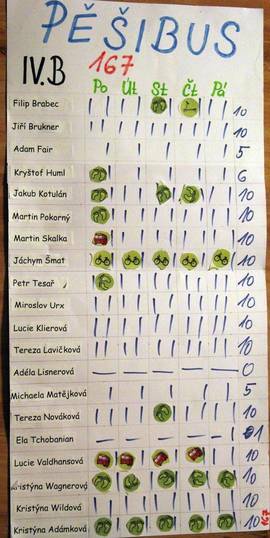 They also made an in-house competition on collecting Zelené stopy as well as on the best art work on sustainabilty and road safety. Here the LINGUA UNIVERSAL soukromá základní škola a mateřská škola participated with 100 children and gathered 730 Green Footprints all together. 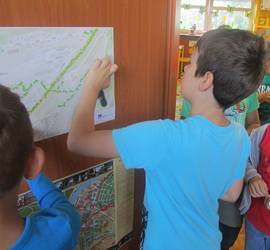 The pupils eagerly documented their daily journeys in their stickeralbum, made posters with their footprints and wishes for the politicians, went on listening walks to better hear surrounding noises and held cycling races on the school yard. From Základní škola Jedna radost + Speciální základní škola 133 pupils managed to collect 853 Green Footprints. One class drew a map showing where the pupils do come from. Another one went outside and calculated how much of its space is used up by parked cars. 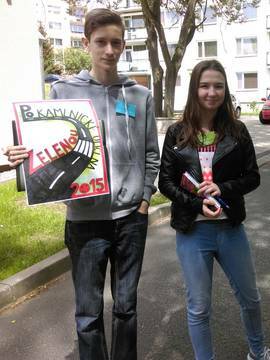 Of course they also talked about pros and cons of different means of transport. 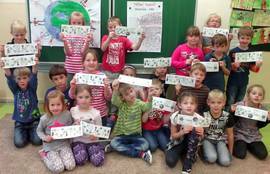 The 79 pupils at Základní škola Přimda together collected 581 Zelené stopy (Green Footprints). 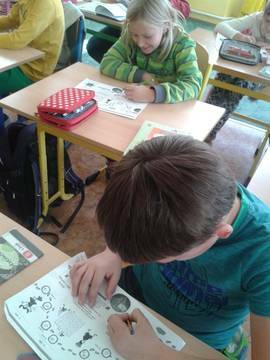 They busily worked on the worksheets 'Different means of transport' and 'Long way of orange juice'. Some went outside and calculated the length of the traffic jam that would accrue if all of them would come to school in separate cars. At Základní škola Řevnice the 228 pupils together collected 1,239 Green Footprints. 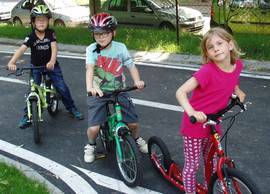 They organised a Car Free Day at school, where parents had to accompany their children on bike or other climate-friendly means of transport. Hidden behind trees some children also recorded the intensity of traffic in front of the school. 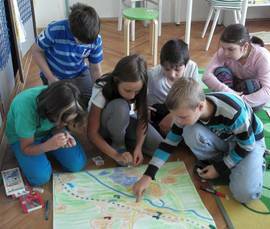 Here the 312 pupils at Základní škola J. V. Sládka gathered 2,563 Green Footprints. 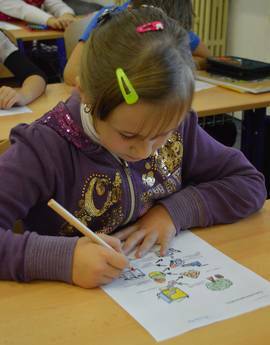 They recorded their daily journeys on posters and in their stickeralbums and also learned about how children in other countries get to school. 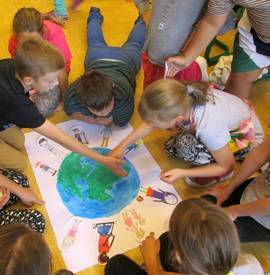 Some classes tinkered posters showing each child moving around our One World. At the Základní škola J. V. Sládka the 180 children managed to collect 1,395 Green Footprints. They organized a Pedibus Action, that they want to repeat soon.